Full schedules, busy jobs, finding time slots in between to catch up with friends or, more importantly, to find time for ourselves. When you arrive at Gradonna in Kals, East Tyrol, Austria, you will discover the art of slowing down and you'll appreciate the art of doing nothing. Tell me more! 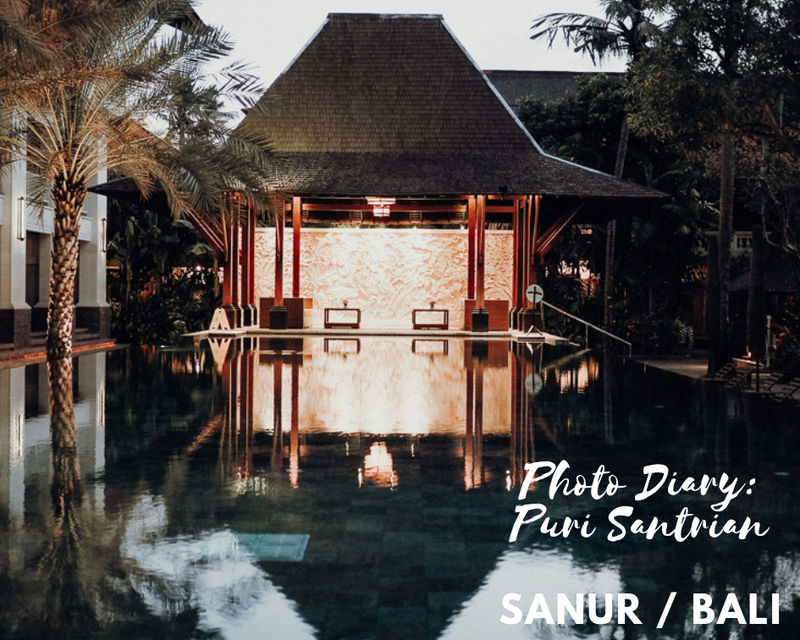 This summer we had the pleasure to stay at the wonderful Puri Santrian Resort in Sanur, Bali. For now, let the pictures speak. 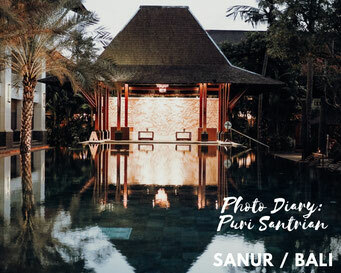 Enjoy your virtual stay at this resort in Bali. Read more here. 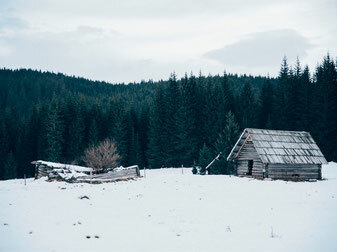 A place in the mountains appears to be like the garden Eden - full of longstanding traditions, mixed with open minds. Culinary highlights, beautiful architecture, and warm-hearted people make your stay unforgettable. Read more here. Protein shakes were always something I never considered important for myself. Little did I know, these healthy protein shakes could eventually help my body to recover from strenuous exercise and that they can be of great importance. Read more here. 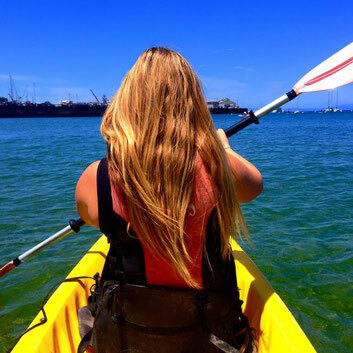 Want to forget about the hustle and bustle of your daily routine? Drop your luggage and simply arrive at a place where everything is taken care of and you can fully wind down and relax? 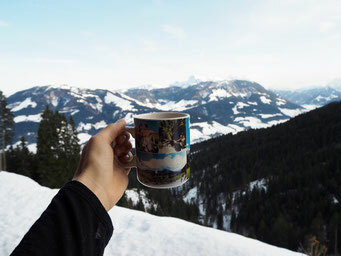 Let me show you where we spent a wonderful winter getaway in Vorarlberg, Austria. 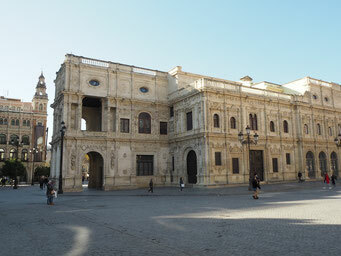 Seville - capital of the Spain's beautiful Andalusia region. 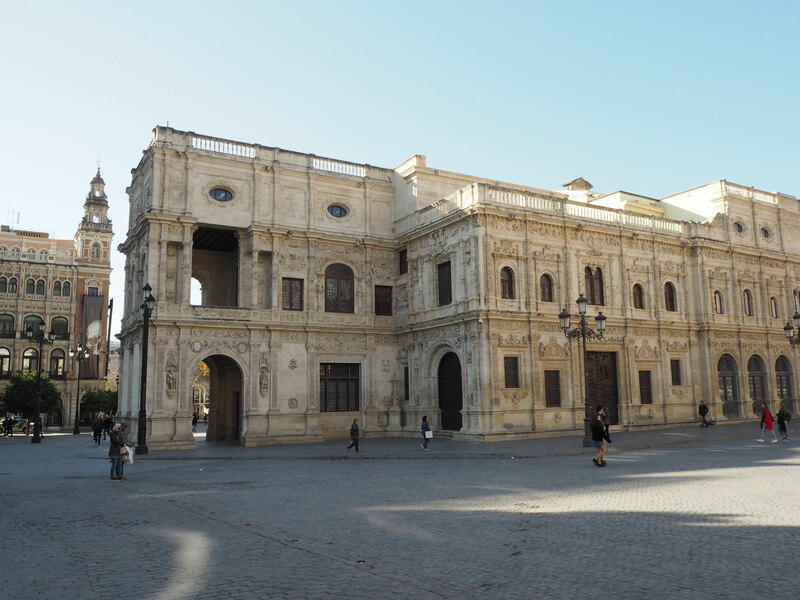 Famous for its flamenco dancing and a lot of beautiful history from the Moorish Almohad Dystany and orange trees, so many orange trees. Here's my personal guide for exploring the city. 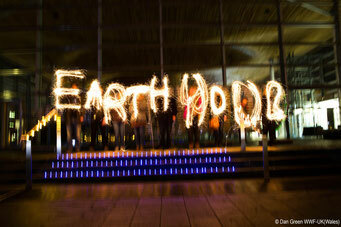 EARTH HOUR: LIGHTS OUT - IT'S TIME TO TAKE ACTION! Once a year, you'll find that many famous places turn off their lights. Thousands of attractions, buildings, schools, and organizations around the globe go dark. The pyramids of Gizeh, the Eiffel tower and the Empire State Building... just to name a few. Why? Read more here. In the western part of Austria, is the region Vorarlberg. It is famous to have one of the best snow records, not only within Austria but also of the Alps. Read more here in this blog post. Winter sports are considered as healthy. But, until today there were no scientific studies that proved in any way if winter sports actually benefit our well-being and our health. 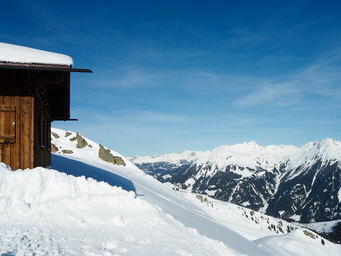 An EU project named WinHealth is now undertaking a ski tour study in the project region of St. Johann in Tirol. 2016 was a very turbulent year, and I thought 2017 could only get better. In many things, I can say that's true but still it was filled with some ups and downs and that's totally okay. Because there were way more ups than downs. Here's a review and some behind the picture stories that I want to share with you. Okay, it's time to tell you something. I have never done solo travel before. I always thought I couldn't do solo traveling and ticked it off in my head. At other times I traveled to a new continent, all by myself, but I moved there temporarily. Read more from my latest trip on my own. 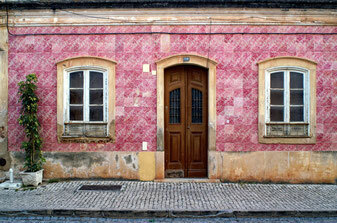 Lisbon is a vibrant city with authentic history, lesser tourists and it's Europe's sunniest capital. Those are enough reasons to make it a very attractive destination. 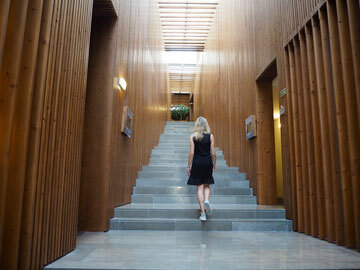 I love to stay at sustainable hotels, and Inspira Santa Marta is a true oasis in the middle of Lisbon. A full guide with everything you should have seen at the POTENTIALe 2017 in Feldkirch - a festival for urban space creation, and for fans of photography, art and design. The Hotel Beethoven located in Vienna is like a book that waits to be read page by page. This boutique hotel surprises you with many different stories and reveals the character of the city floor by floor. 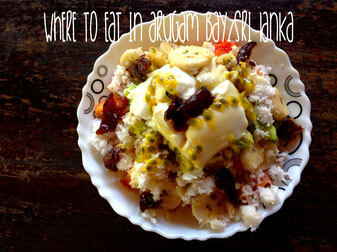 Have you ever visited a city and you had no idea what you should see or where to go for good food? You were too busy and didn't find any time to look at a guide book? Sounds like me but I might have found a good solution which takes you to the best spots of a city. As waterfalls like Big Surf, and viewpoints like Pfeiffer Canyon cascade over the rocky coast, it fits the mirror image of Kauai. In addition to the blue water, The Scenic Highway obtains plant life that opens a window to the similar greenery on the Big Island. In India a lot of time and energy goes into the planning of a wedding. 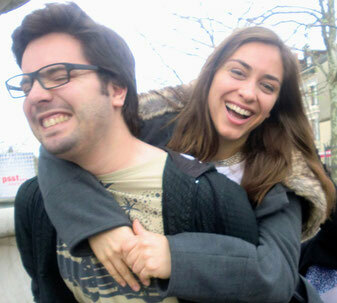 A honeymoon is a welcoming cutoff from all the emotional roller coaster rides. 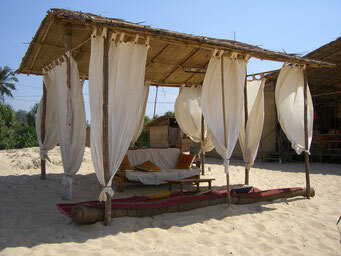 Here goes a list of 7 most popular honeymoon destinations in India. 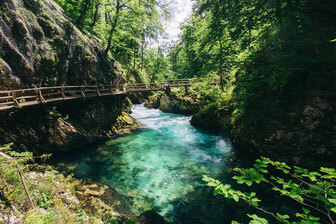 Slovenia is a scenic place that offers many, many vineyards, green fields, beautiful landscapes, mountains, lakes and most importantly, friendly and welcoming people. Traveling around the world, but also yoga has taught me to be more mindful with myself but also with everyone and everything that I am surrounded with. Traveling in Costa Rica with your parents can be very rewarding. A country that offers everything in wildlife and nature. A full guide with things to see and places to stay. 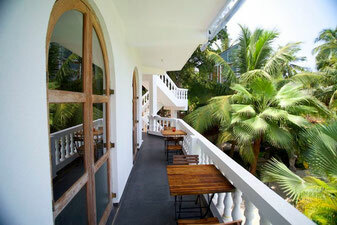 Stay in a jungle hotel in the southern carribean coast of Costa Rica, close to Puerto Viejo. Unwind in a rocking chair, listen to the sound of the jungle, watch wildlife from your porch or take a walk through the garden. This is pura vida! 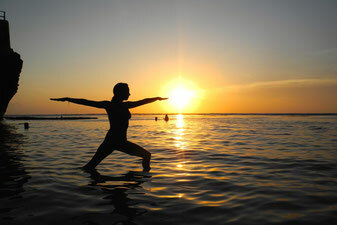 Traveling and yoga is one of the best combinations. Four bloggers revealed their best yoga retreats in 2015 and can hopefully inspire you for your next retreat this year. 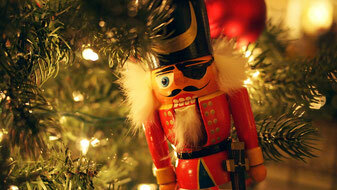 Have you ever thought about spending Christmas abroad? 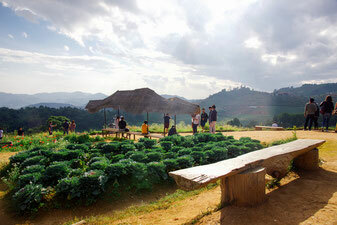 If so, Chiang Mai in Thailand is a great choice if you look into a different kind of experience. The story is simple. 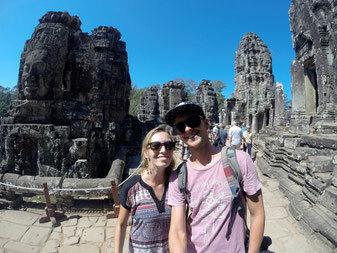 We met, fell in love and decided to travel around the world. See more from our personal highlights on Instagram from each month, including our time when we were preparing for our big trip. 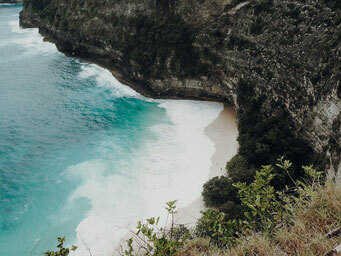 Canggu is the place where surfers, hipsters, yogis and some other pretty cool people with their online business live or come to visit. Canggu is really a place on its own. Having stayed there for a yoga teacher training myself, I wanted to get some work done once the course was over. Here are my favorites. Malacca (or Melaka in Malay) is a beautiful town known for its rich history. 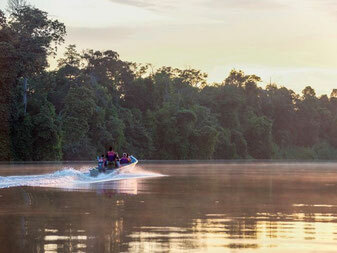 It's located 148 km south east of Malaysia's capital city Kuala Lumpur. There's a lot there that you can explore. Read more about my favorite 9 things to do there. Christmas is just around the corner. Travelling and yoga is a big passion of mine. Here's a list for what you could give your favourite yogi or yourself this Christmas. With an anxious and uneasy feeling I just clicked on BOOK and paid something from where I had no idea what I could expect or would learn exactly. 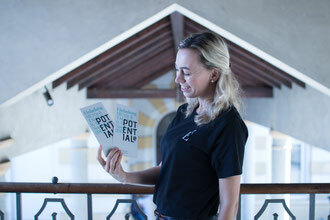 And so it was clear, no more pulling back: I was about to become a yoga teacher in Canggu, BALI with Santosha in October. A while ago I was nominated by Cess from Cess here and there for the Liebster Award. The nomination is great to discover new blogs. In this post I answer 11 questions and nominate other bloggers. Sepilok is a place with three sanctuaries. Take your time to watch orangutans at the feeding platforms, to admire how sun bears climb up the trees and see how agilely the proboscis monkeys jump from one tree to the other. 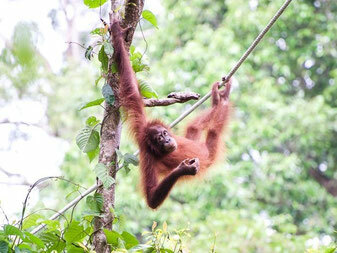 The east coast of Borneo, Sabah, is known for its orangutans, wildlife and marine life. In fact, it has some of the richest wildlife of Souteast Asia. A perfect start to see it on your own are these places. Tioman - a place where you can be completely on your own at the beach, where you discover an amazing underwater world or simply relax and drink at a beer and enjoy a beautiful sunset. Here are 10 reasons why I fell in love with Tioman island. During our India travels we wanted to have a place for three days where we could purely relax before we had our next upcoming trip to Hampi. Casa da Praia seemed to be perfect. We were lucky and there was one room left, so we booked. 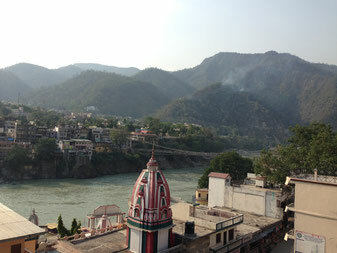 Rishikesh - famous as the world capital of yoga, and to some also known as the birthplace of yoga. The town lies next to the Ganges river and is one of the famous spiritual places for Hindus. If you plan to go there, here are four things you should know about. 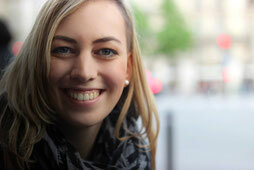 Guest blogger Hannah Stark is an American girl who loves to read. She usually shares her travel stories on her blog Traveling Banana. 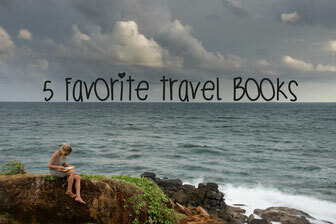 She reveals her 5 favorite travel books in a personal review. Next stops for her: Los Angeles and Israel! 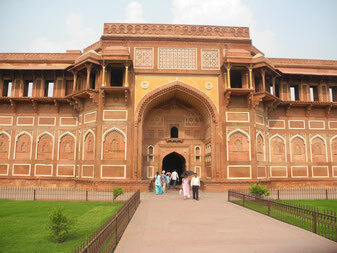 India is supposed to be one of the countries where traveling is very cheap. But, before listening to others, do whatever you feel comfortable with. If you arrive in a city like Delhi and it has 45 °C every day, all you wish for is a room with AC and that's ok. 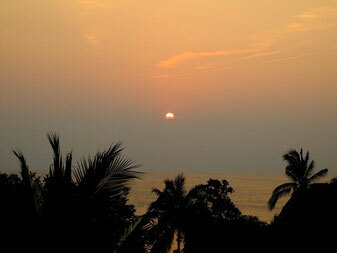 It's been 3 weeks since we left India and we enjoy this lovely surfer paradise town called Arugam Bay so much. All restaurants are located on main street which is around 2 km long and they're worth exploring! 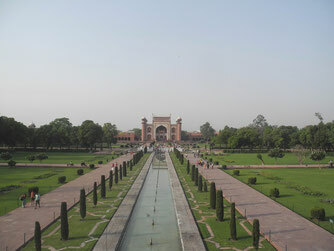 Before heading off to our around the world trip, people were shocked to hear that we wanted to see India. „What? After all that's happened?“ Everytime I read or saw the news about India, I was shocked. And I am still. 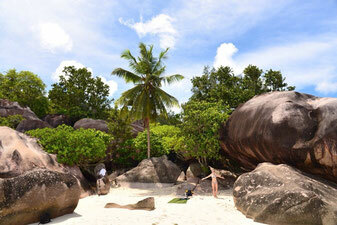 Seychelles sounded like an exotic dream to me, too good to be true. That was the case until my boyfriend showed me a cheap multi stop flight with the following stops: Cape Town – Mahé (Seychelles) – Abu Dhabi – Bombay. I didn't know much about Seychelles which includes 115 islands in total. 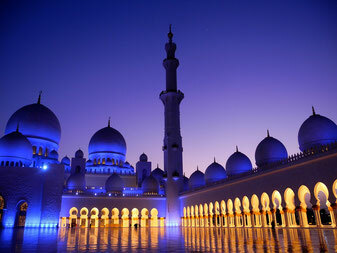 Abu Dhabi is the largest of the United Arab Emirates and also the capital. The founder's name was Sheik Zayed. So, if you're happen to land in Abu Dhabi (translated as father of gazelle) as a layover stop or for vacation, you should have the Grand Mosque on your to do list. If you want to experience Kruger Park in South Africa a bit differently, Marloth Park is the right way to go. It is a private nature reserve that belongs to the Greater Kruger Park in the province Mpumalanga, South Africa. 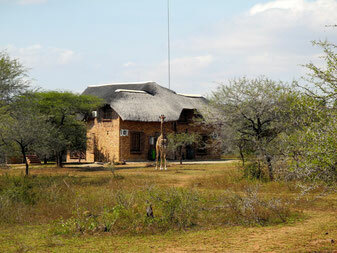 It's located at the southern edge of Kruger. In Marloth Park, you're in the middle of the African Bush. Mozambique is still an unknown place on the map for most of us. Back in 2011, I spent 6 months in the capital Maputo where I worked as a volunteer with neglected children and aids orphans in a village called Massaca. 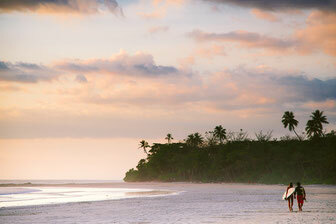 For our round the world trip, Michael and I decided to make Mozambique our first stop. 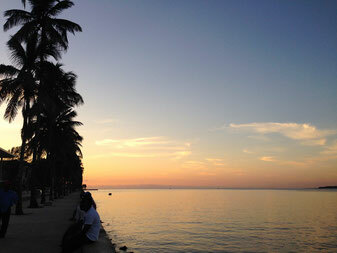 ﻿If you plan a RTW trip, the big concern is always the same: Money. Obviously, you want to cover all of your travel costs. It's not as difficult to save a lot of money in a short amount of time as you might think. It's about setting the right priorities. Summer vacation in Europe can be quite expensive; especially in peak season somewhere at a beach. But with a few tricks, you can save lots of money in Portugal. I admire people who have organized all their Christmas gifts already. Are you one of them? Well, I am definitely not. And Christmas is just around the corner. 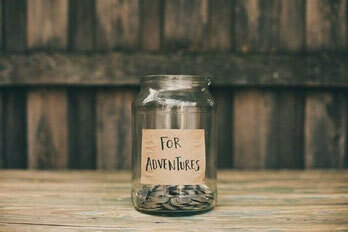 If you have friends or someone in your family who loves to travel, it's quite difficult to find out what they need. 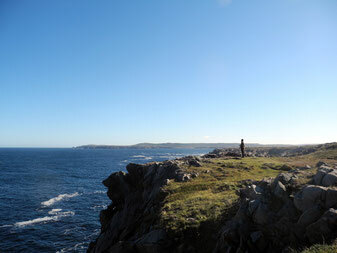 What is Newfoundland like? It's purity, nature, ocean, forests, wilderness, good music, warm-hearted people, breathtaking views, fresh air, moose (obviously), long roads, small towns and villages, lots of lakes, beautiful sunsets, hills and loving encounters day by day. 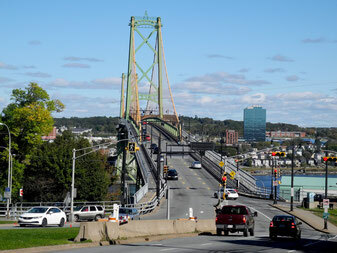 Halifax: the city with the most bars and pubs per capita in North America. 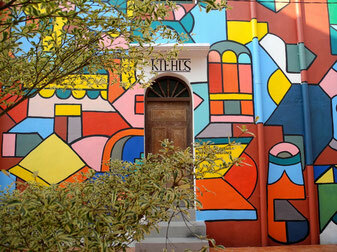 A young, artistic city....a vibrant city. A city where everybody buys locally and support local companies. That's the reason why the city also has so many breweries. It's a city where all these young people do whatever they like to do. When you're in Portugal you'll notice it right away. Doors. Everywhere. And even if you want to take pictures of things people usually take pictures of, you cannot focus. Why? Because you want to capture all these doors on your camera. The diversity. Old, new. Ugly, pretty. I came to Lisbon almost by chance. 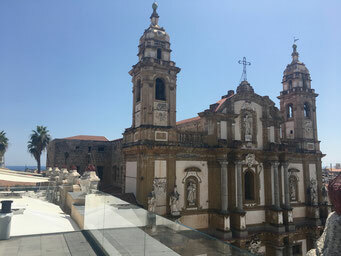 I was finished with my first period of studies in general psychology at Madeira Island (where I am originally from) and decided to go to the Portuguese mainland to complete a master degree in work psychology. I submitted my application to Lisbon because it's the capital, but in fact I didn’t know much about it. 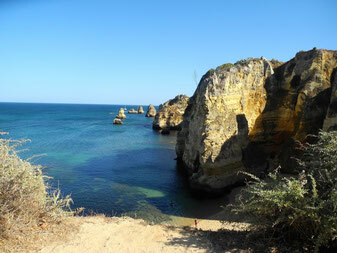 Have you ever thought about traveling to Portugal? Nope? Have you ever been there? You are definitely missing out! Not only is it Europe's westernmost country, Portugal is also Europe's oldest country, which is very exciting for people like me who enjoy places and things with history. I love to travel. Want to know more about me? When you're anywhere in Vorarlberg, Austria and you want to meet up for a cup of coffee, let me know! 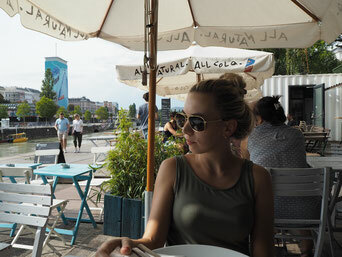 After my trip around the world I am based now in Europe. 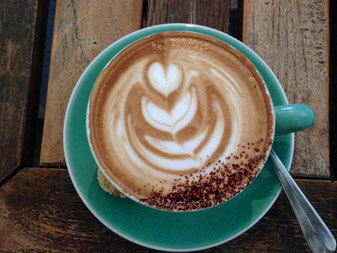 I have a passion for mindful traveling, cool cafés, cappucino, books, yoga and healthy food. 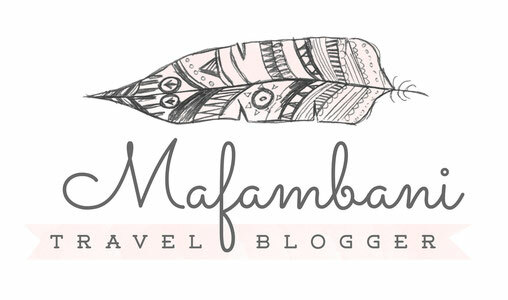 Here you find more information about me, the name Mafambani and its meaning. Get your own personalized postcard here. 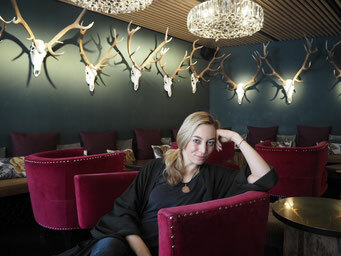 Author: Melanie Klien. All rights reserved.